Earlier today, we completed the last in a series of four Madison Civics Club video shoots at the Monona Terrace. 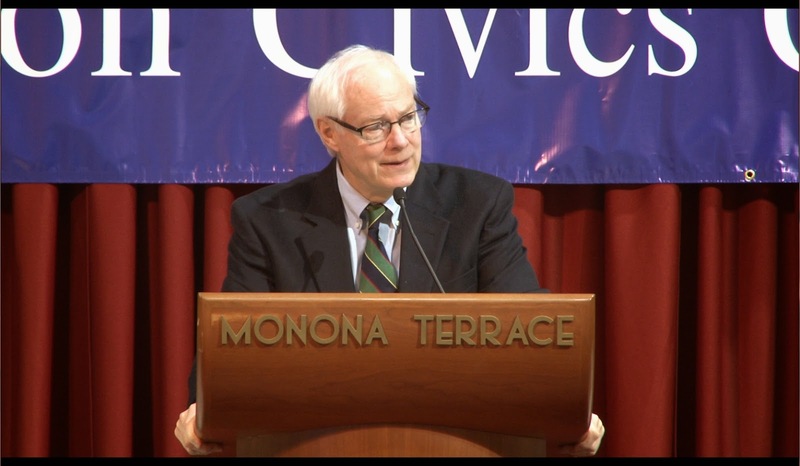 The main speaker was Jim Leach, 30-year US Congressman and former National Endowment for the Humanities Chair. The previous programs in the series included international mediator Joan Goldsmith, gold medalist Jackie Joyner-Kersee and author Peter Palmer. All of the videos are scheduled to air on WYOU - Madison's Community Television.